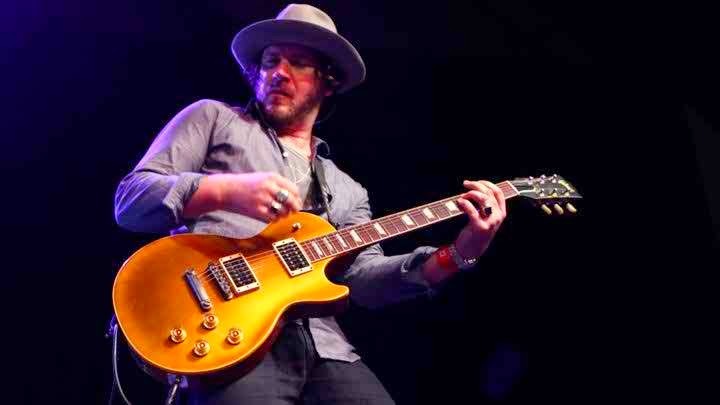 Guitarist for the Wildabouts and Scott Weiland, Jeremy Brown died at the age of 34 on Monday because of undisclosed causes. His death occurred only a day before Blaster, the debut album of the group was slated for release. The news was revealed to fans by Weiland via Facebook who wrote that the band had become anxious when the guitarist didn’t show up on Monday for rehearsals just before their album release. For seven years, he had worked with the Stone Temple Pilots. Weiland stated that he had been worried when Jeremy didn’t show up, but had been shocked to the core when his family called to inform them about his untimely death. He said that it was a terrible loss because Jeremy was a true genius and also one of his dearest and closest friends. Weiland and Brown first worked together in 2008 when the singer had recorded ‘Happy’, his first solo album in Galoshes. Along Danny Thompson, the Wildabouts drummer and Tommy Black, the bassist, Brown had gone with Weiland on the road for the Purple to the Core tour of the singer, where he performed Purple and Core of the Stone Temple Pilots live. Weiland had been truly inspired by the chemistry of the group and had begun recording Blaster with his backing band. Weiland said that the sound had felt infectious and original and incited the same feelings he had experienced in his first couple of records. He asserted that Blaster had the band sound and a lot of the riffs had been brought on by Brown. After Weiland learned about Brown’s death, he canceled the release of the band’s album at the Los Angeles’ School Night on Monday. In his post, Weiland said that the social network wasn’t enough to convey the hole Brown’s death would leave and he was sorry for the talent that had ended too early.